While most of the Adobe ecosystem is now migrated to its Creative Cloud online service, those who prefer to use standalone software still largely have the option. 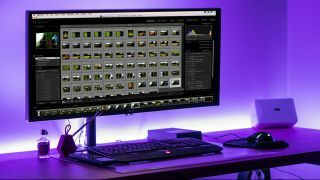 For Lightroom users that means Lightroom Classic, but users of this software will know that it's been blighted by performance issues for some time, at times running painfully slowly. So notorious is the issue that Adobe even put out a statement acknowledging it last year. Well, it seems we’ve all been extra good so far in 2018, because a fix is on its way. Adobe has told DPReview that a significant performance update for Lightroom Classic – which will be v7.2 – is in the works, promising to improve performance across the board. More specifically, Adobe promises faster import and preview generation; faster walking of images in Loupe View; faster rendering of adjustments in Develop; faster batch merge operations of HDR and Panos; and faster export. The firm has tested its new version on various different machines – two Windows PCs with different RAM levels, and an iMac Pro – and reported significantly faster exports in every case, with speed improvements as high as 48.3%. The update also reportedly fixes a known issue in the Windows version, in which prolonged editing sessions cause the software to get slower and slower. DPReview was also given access to the update and performed independent tests that confirmed the validity of Adobe’s numbers, showing significant improvements in speed of import and export when compared to the previous version of Lightroom Classic. You can read the full report on DPReview if you want to see more of the technical breakdown. While we don’t know precisely yet when the update is coming, we’re glad to see that users who don’t want to buy into Creative Cloud are still being catered for by Adobe.